When crossovers and SUVs got their second wind on the market, automakers jumped on the opportunity to open the gates and flood each and every segment of the market with as many models as possible. But, some automakers have taken an interesting approach where they take a car body and throw it on a jacked-up chassis and suspension – a quick way to create new models without spending heaps of cash on research and design. 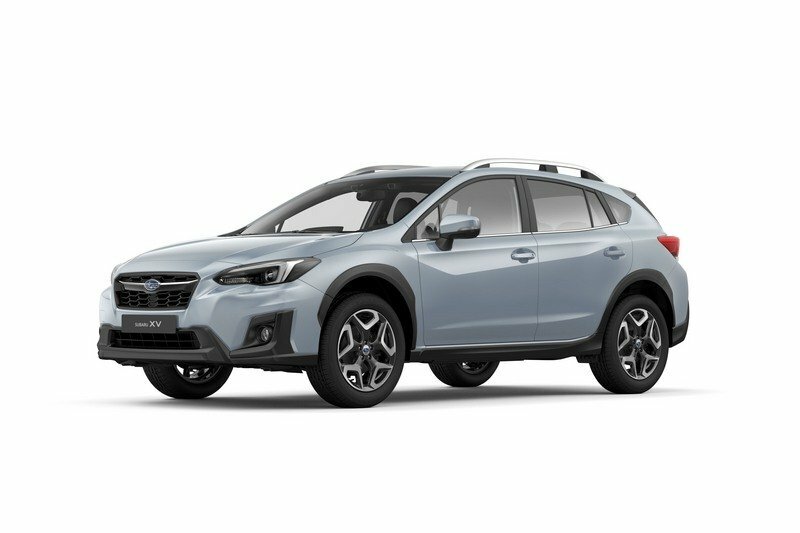 The new Subaru XV is one of these models and, like the 2016 Subaru XV Concept, it sports the body of the 2017 Subaru Impreza five-door with a raised suspension; just enough to make it appealing to the masses who, predominantly, love these high-riding people-haulers a lot more than they probably should. The big news, however, is that the new XV is built upon Subie’s revamped Global platform that brings extra rigidity and strength to the table. There’s also a revamped suspension system, revised interior, and 80-percent of the parts used in that 2.0-liter Boxer engine have been revamped to deliver more power and better fuel economy in an overall lighter package. As was the case with the first XV model that hit the market in 2013, the XV is essentially an Impreza with jacked up suspension, but this time around, Subaru has gone the distance to make the XV safer, stronger, more powerful, and nicer inside and out. 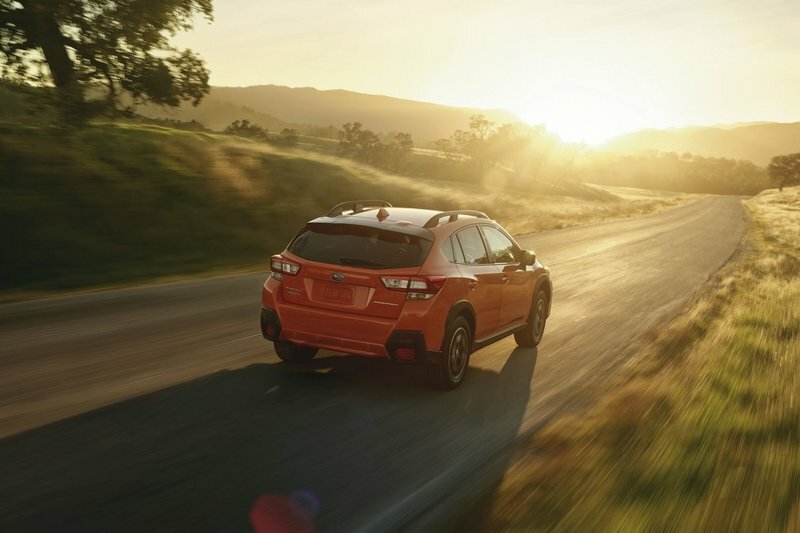 When it comes to strength and safety, we’re not exactly talking small numbers either – the new XV, according to Subaru, offers an increase in torsional rigidity of 70 percent and a decrease in body roll of 50 percent compared to the outgoing model. But, before we get too far into that, let’s a stroll down the page talk more about the “all-new” Subaru XV. 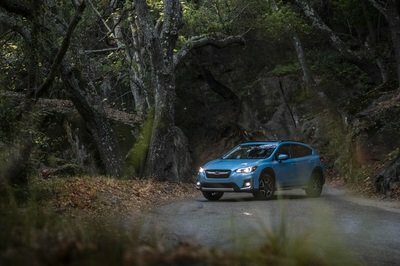 Update 6/15/2017: Subaru has announced a full pricing schedule for the XV Crosstrek. Check out the Prices section below to learn all about it. So, at first glance, it literally looks like Subaru took the standard five-door Impreza, threw beefier suspension under the body, and called it a day. But, that’s not exactly the case as there are some subtle differences that set the model apart outside of the raised suspension. 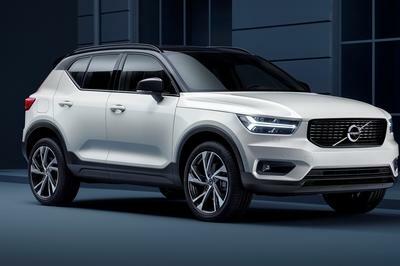 First of all, the XV is designed to be more off-road friendly, so there’s extra cladding along the bottom of the front and rear fascias, around the wheel wells, and along the side skirts. 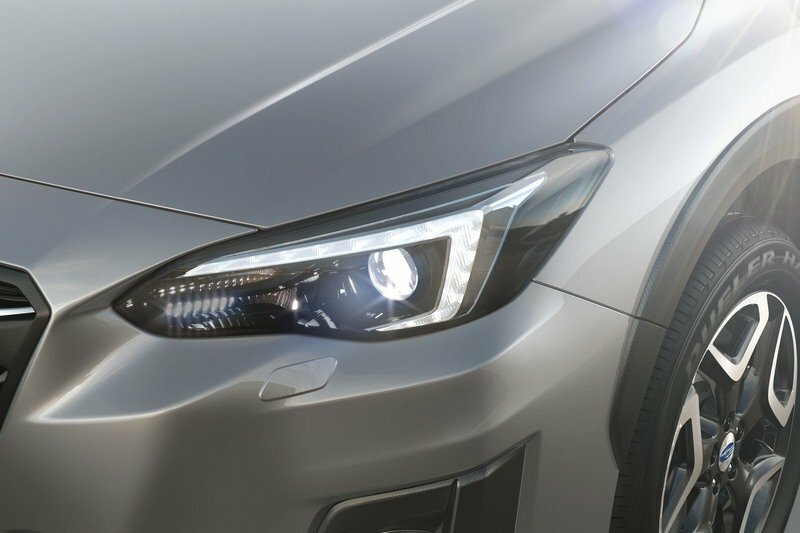 The fog lights in the front fascia also get different inserts and lack the chrome accents found on the XV’s lower-sitting brethren. 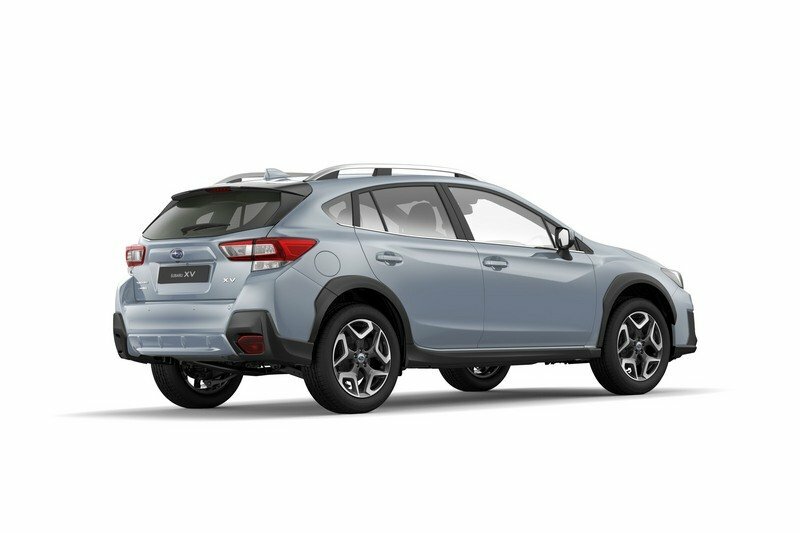 The XV is designed to be more off-road friendly, so there’s extra cladding along the bottom of the front and rear fascias, around the wheel wells, and along the side skirts. Around back, you’ll find the same taillights and rear hatch as the standard Impreza, but the rear fascia is slightly different, featuring cladding only on the corners and a different design in the center of the lower fascia. 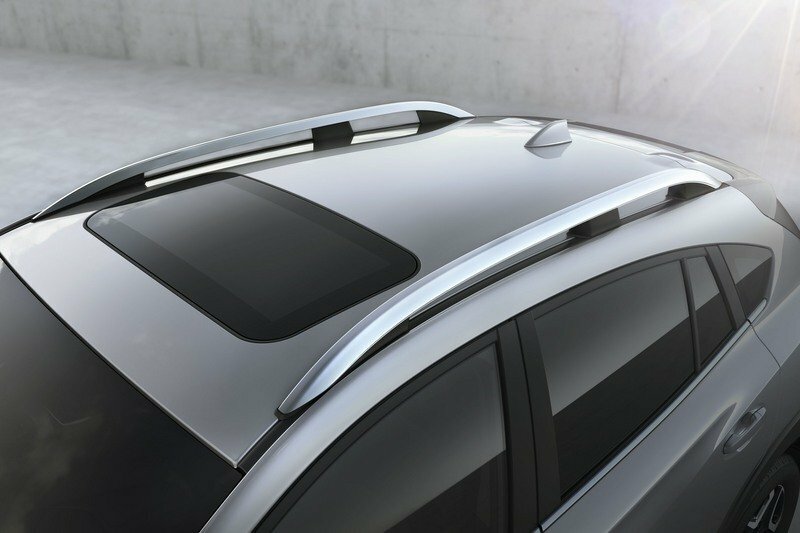 The rear corner reflectors are also larger on the XV, a feature that should make it easier for others to see you at night if you’re roaming the countryside. All told, the new XV rides 220 mm off the ground (8.66 inches,) but new suspension mounts that are more rigid drop body roll by 50 percent while offering better energy absorption and less twisting of the chassis. 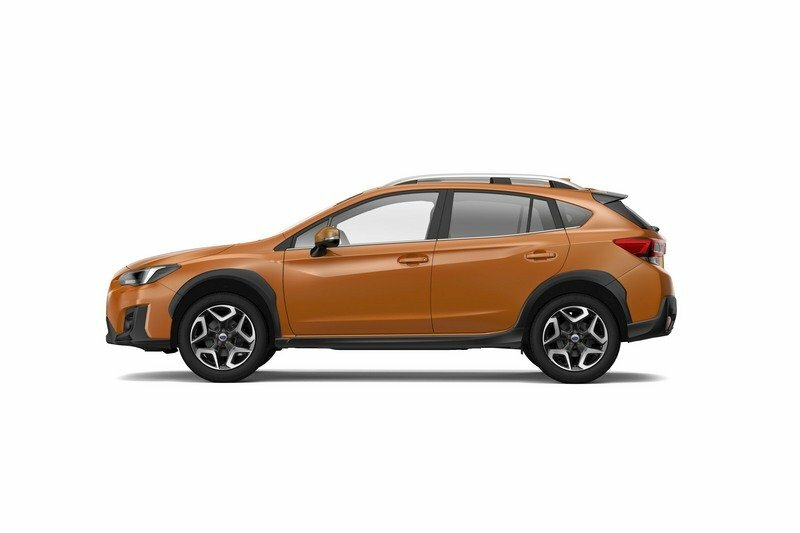 The XV gets its own unique wheels in Subaru’s lineup, and there are now two new colors on offer that include “Cool Grey Khaki” and “Sunshine Orange,” both or which are said to contrast against the matte black cladding well. 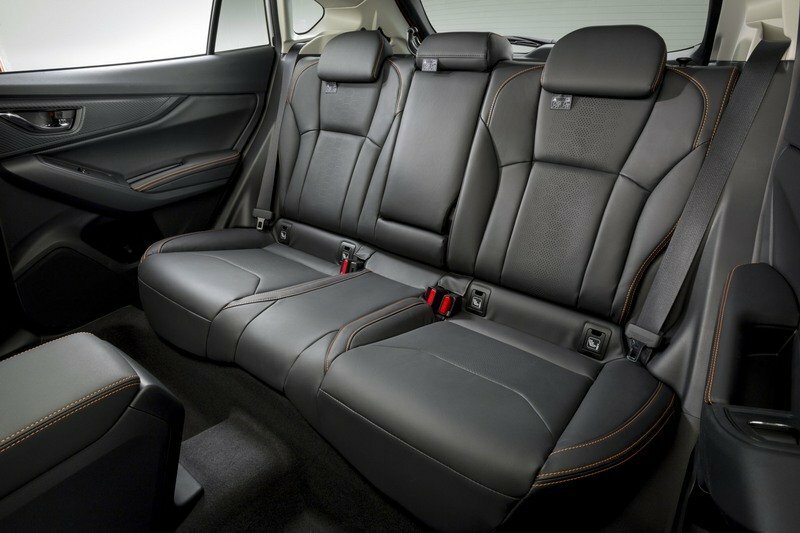 The interior of the new Subaru XV brings a lot of change into play. First off, let’s talk about the dash. The dual screens are still there, but the upper screen doesn’t have as large of an overhang while the infotainment screen below has been updated to an eight-inch unit. The screen now sits higher in the center stack, and the central HVAC vents have been positioned to the sides of the screen instead of above. The instrument cluster doesn’t have the appearance that it protrudes out of the dash as much thanks to the redesign of the top pad on the dash. 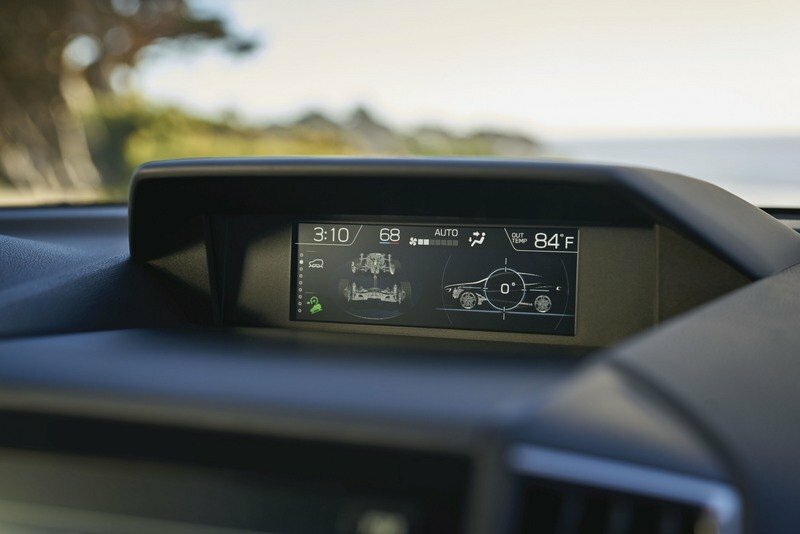 The instrument cluster still rocks dual analog gauges, but in the middle sits a 4.5-inch TFT display that displays digital speed readings and other information for the driver. Thanks to the design of the rear-most portion of the dash pad, the door trim, and dash blend together nicely in a wrap-around fashion at top, while the trim inserts around the door handle and above the above the glove box also create a link between the two. Thanks to the design of the rear-most portion of the dash pad, the door trim, and dash blend together nicely in a wrap-around fashion at top, while the trim inserts around the door handle and above the above the glove box also create a link between the two. The door trim panels are all new, with the armrest curving upward toward the door handle sharply to provide easier access to the window controls, while there are larger speakers in the lower portion of the trim and a deeper storage pocket. In an opposite fashion, the center console is now flatter and wider than before, but thanks to the addition of an electronic parking brake the center armrest now sits farther forward and should provide better comfort for front passengers. Finally, the front seats get an all-new stitching pattern and layout, with added side support for the cushion and backrest. Rear seat passengers get a similar view as far as the door panels and trim go. 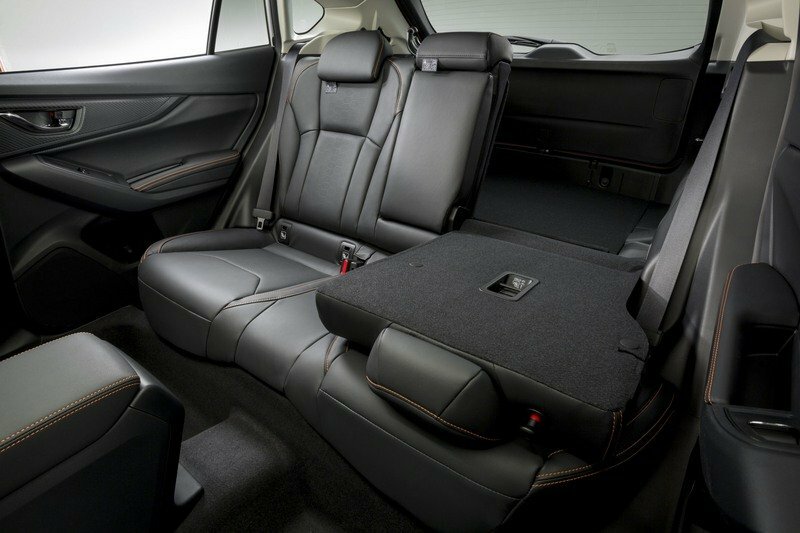 The rear seatbacks feature a 60/40 split to allow for expandable cargo room. 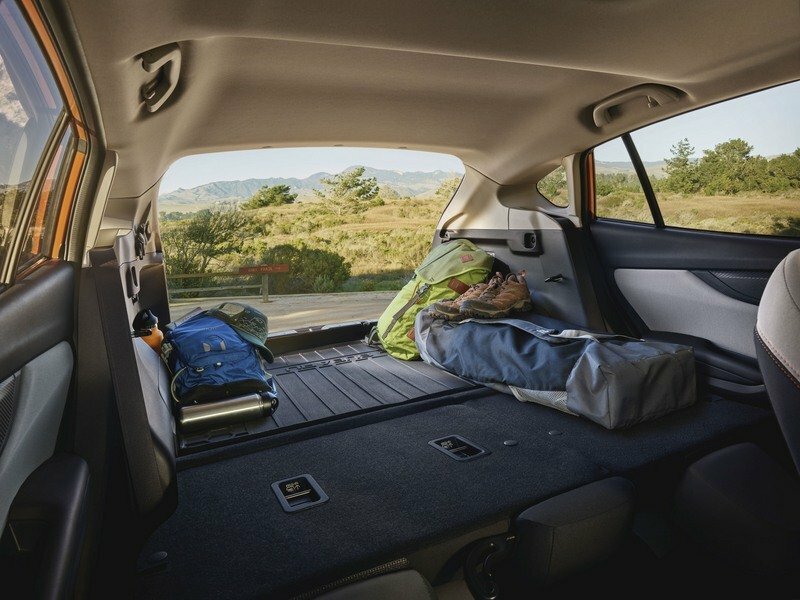 Subaru hasn’t elaborated on just how much cargo room, passenger volume, or space there is, but we should learn more about that closer to its official launch. At this point, very little is known about the new XV’s drivetrain, but Subaru has said that the 2.0-liter, direct-injection, four-banger has been revised. At this point, very little is known about the new XV’s drivetrain, but Subaru has said that the 2.0-liter, direct-injection, four-banger has been revised. In fact, 80 percent of the parts have been revised to help make the engine lighter while delivering better power and efficiency. As to how much power and efficiency – well, all that work to revise 80 percent of the parts accounts for a power increase of just four horsepower. That’s right; the new XV Crostrek will come with 152 horsepower as opposed to the 148 horsepower found in the current model. Shifting duties are handled by a six-speed manual or a CVT that has a seven-speed manual mode. The entry-level 2.0i Base and the Premium trim levels get the six-speed manual as standard equipment, but can be optioned with the CVT if you’re willing to pay. If you go with the Limited trim, you’ll get the CVT as standard equipment. On this model, you can’t option the six-speed, unfortunately, but you do get padlle shifters and that simulation of having seven gears. Expect the 1,500-pound towing capacity to carry over, while fuel economy for CVT models may increase from 26 mpg in the city and 33 mpg on the highway to 28 and 35, respectively. Expect models equipped with the six-speed manual to offer somewhere around 24 mpg in the city and 32 mph on the highway. 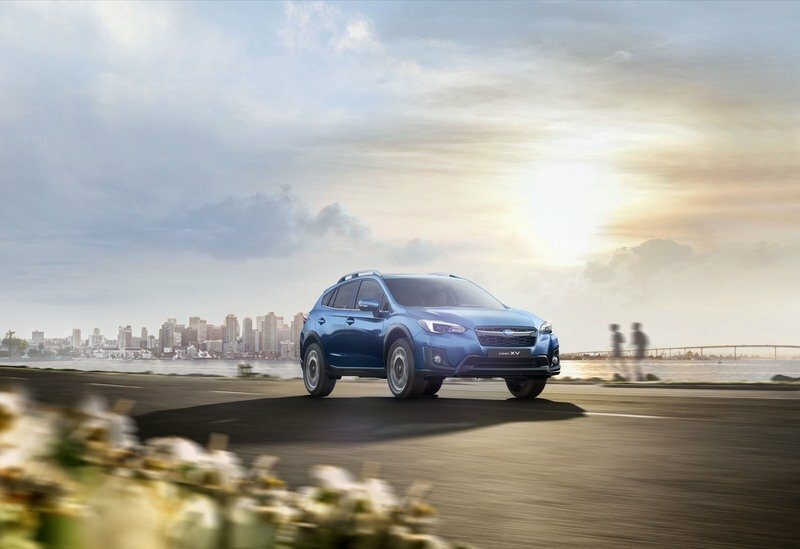 As one would expect, the XV comes standard with Subaru’s awesome Symmetrical all-wheel drive system. But, the system has been updated to include something called “X-Mode” that is said to offer increased drivability and optimized control of the engine. 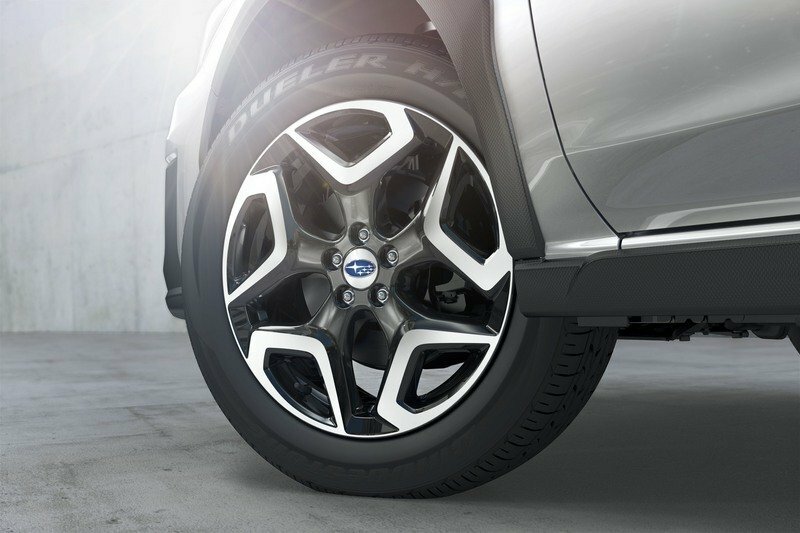 The system will also apply the brakes as needed to help control tire slip on slippery surfaces and when traveling downhill. Subaru has always been committed to safety, and the new XV is no exception. 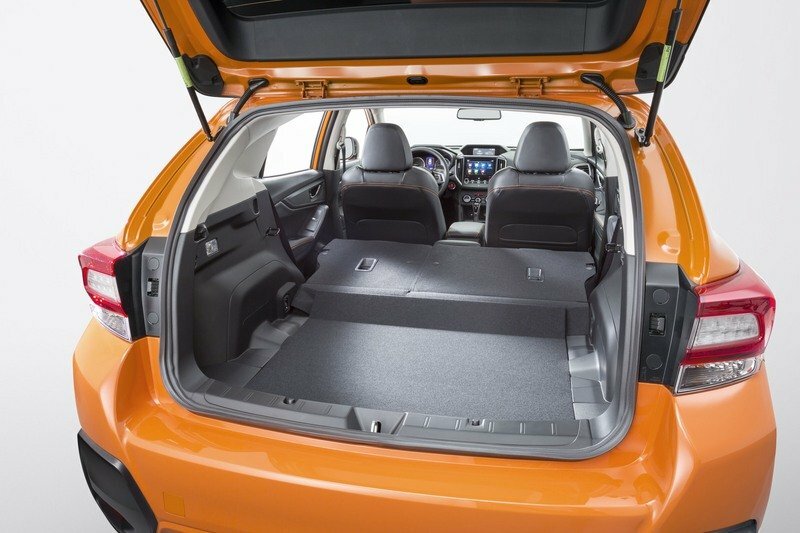 First off, the new XV’s center of gravity is 5 mm lower than before, which helps with maneuverability in iffy situations while the frame structure and high-tensile steel plates offer a significant increase in energy absorption to the tune of about 40 percent. On top of this, however, there are a number of other driver assistance features that include pre-collision braking, adaptive cruise control, lane keep assist, high-beam assist, steering-responsive headlights, blind spot protection, lane change assistance, and reverse assistance. Of course, most of this is included in the EyeSight Driver assist package, so you won’t likely get most of the features on the entry-level model, and most may only be optional on the mid-trim models. 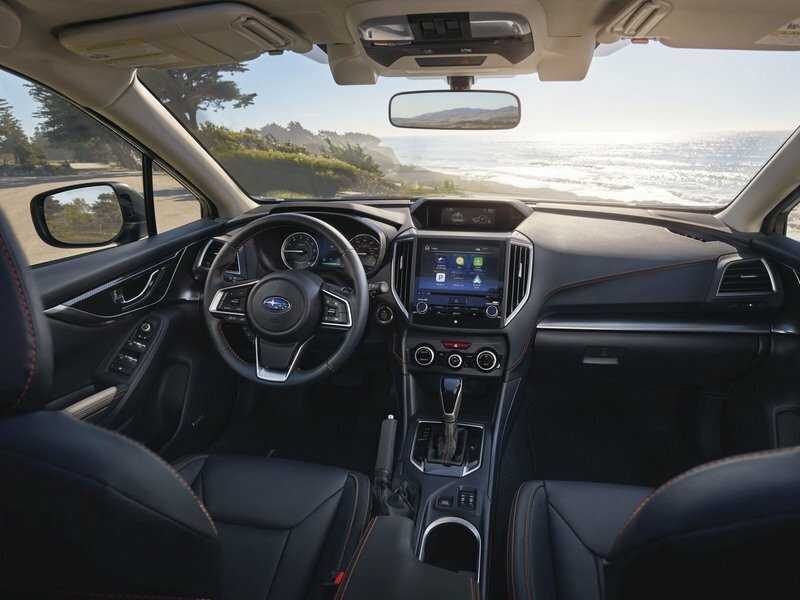 Event the range-topping model of the current XV Crosstrek offers the EyeSight package as an option, so that isn’t likely to change – just something to think about. 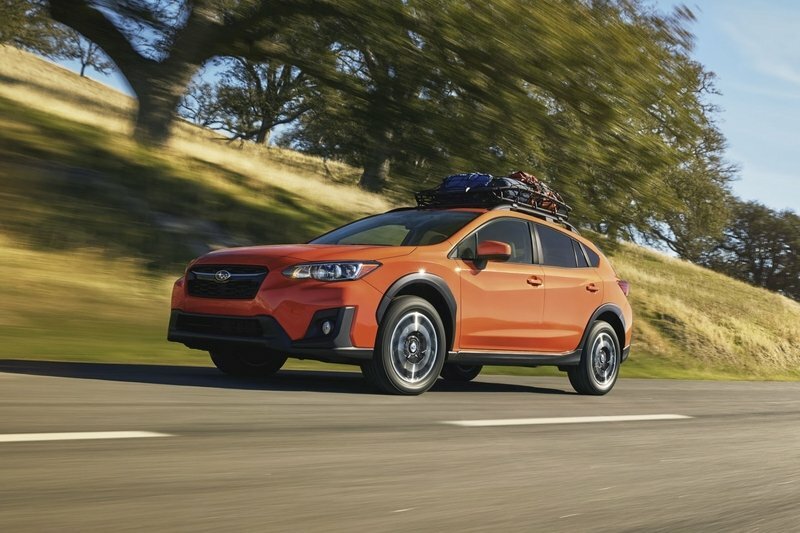 The XV Crosstrek starts out at $21,795 for the entry-level 2.0i trim level with a six-speed manual while optioning a CVT will set you back $22,795. That’s an increase of just $100 over last year’s model. The 2.0i Premium with a six-speed manual comes in at $22,595 while the CVT model will set you back $23,595. 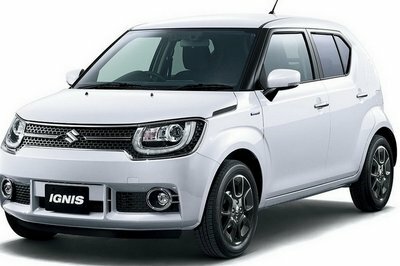 Finally, the 2.0i Limited, which only comes with a CVT is priced at $26,295, which accounts for an increase of $1,100 over the outgoing model. Options include a moonroof with blind spot detection for $1,400, EyeSight with blind spot detection for $1,395, and Eyesight with a moonroof and blind spot detection for $2,395. If you want reverse automatic brake and high-beam assist, you’ll have to pony up $2,095, and if you want all of the goodies, you’ll need to cut a check for $3,445. There are more than enough compact crossovers on the market, so we could list give you enough reading material in this section for days. 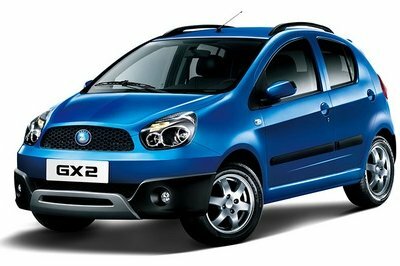 However, I’ve decided to pick out a couple of decent contenders that will make good alternatives to the Impreza-based XV. 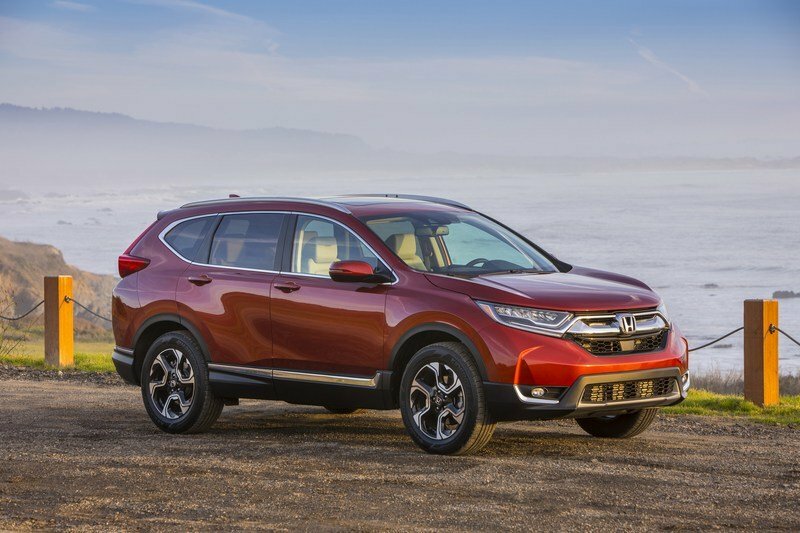 The Honda CR-V entered its fifth generation for the 2017 model year, so it will be sporting a fresh design when the new XV hits the market. 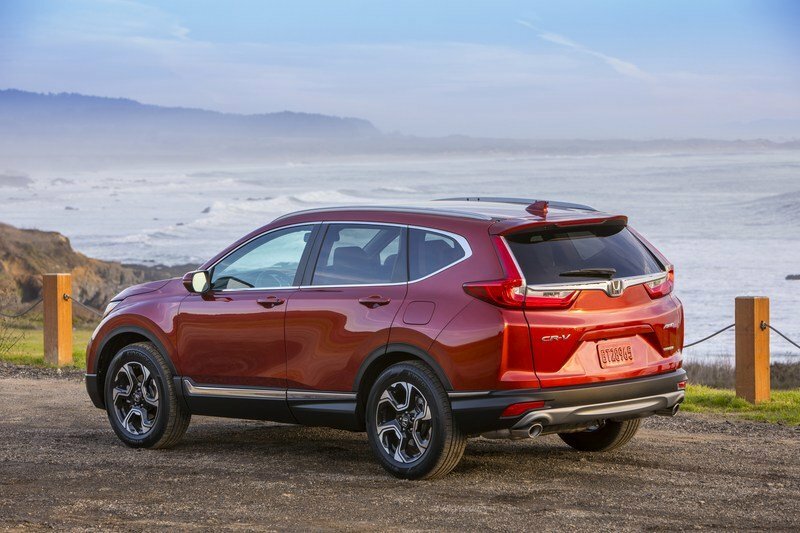 As far as dimensions go, the CR-V is quite similar to the expected dimensions of the XV, starting out with a 102.8-inch wheelbase, to go with an overall length of 169.1 inches, height of 63.2 inches, and a width of 69.8 inches. Under the hood, you’ll find that the entry-level LX gets a 2.4-liter with 184 horsepower and 180 pound-feet of torque on tap, while other trim levels get a 1.5-liter turbo mill that pumps out 190 ponies and 179 pound-feet – both of which mate to a CVT transmission. All can be optioned with all-wheel drive, but it comes at a $1,300 premium. But, Subaru’s have always been known to have exceptional value, so it should come as no surprise that you’ll have to pay more for the CR-V, with prices starting out at $24,045 ($25,345 with AWD) and increasing to as much as $32,395 ($33,695 with AWD) for the range-topping Touring trim. Read more about the Honda CR-V here. 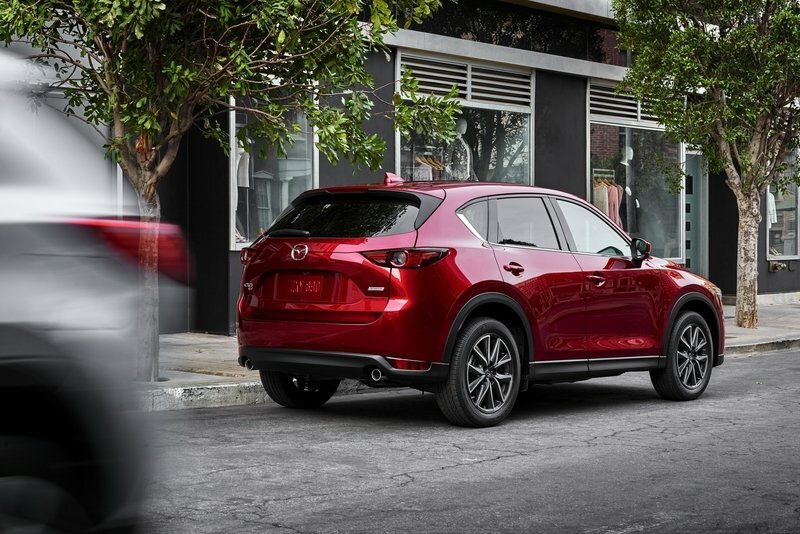 The CX-5 is another one of those crossovers based entirely on a hatchback car, albeit it with raised suspension. 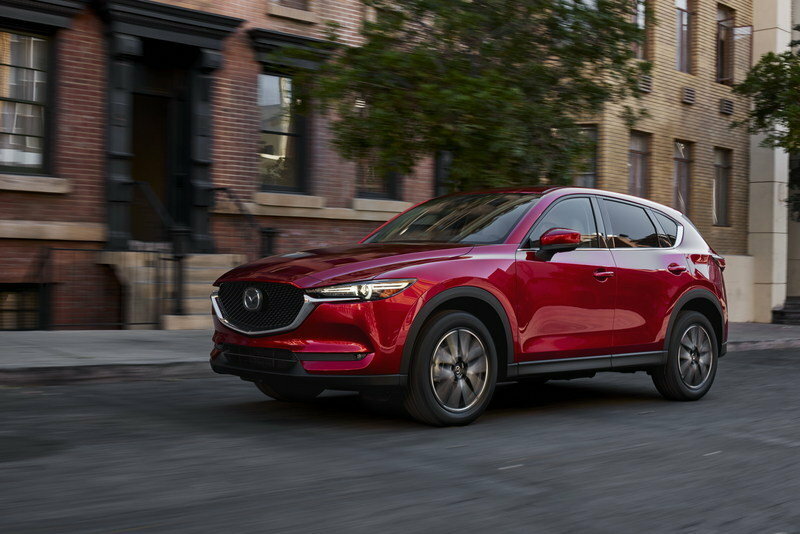 It has actually performed pretty poorly for Mazda thus far, but for 2017 Mazda is ushering in a new generation. That model, however, isn’t on sale as of the time of this writing, so official details at this point are rather thin. It should compete well, though, as it will be offered with the choice of a 2.0-liter four-cylinder with 155 horsepower and 150 pound-feet or a larger 2.5-liter with 184 horsepower and 185 pound-feet of torque. It’s possible that the engines could see a mild increase in output, but I wouldn’t hold my breath. It can be had with a manual or automatic transmission, and all models should be offered with the option of all-wheel drive. 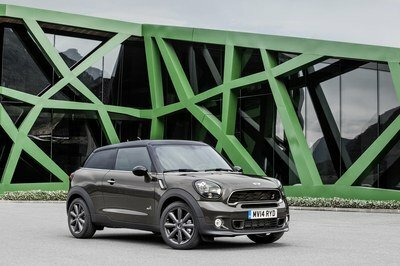 Pricing is expected to start out around $22,500 for the entry-level model and could increase to as much as $29,300 for the range-topping model. 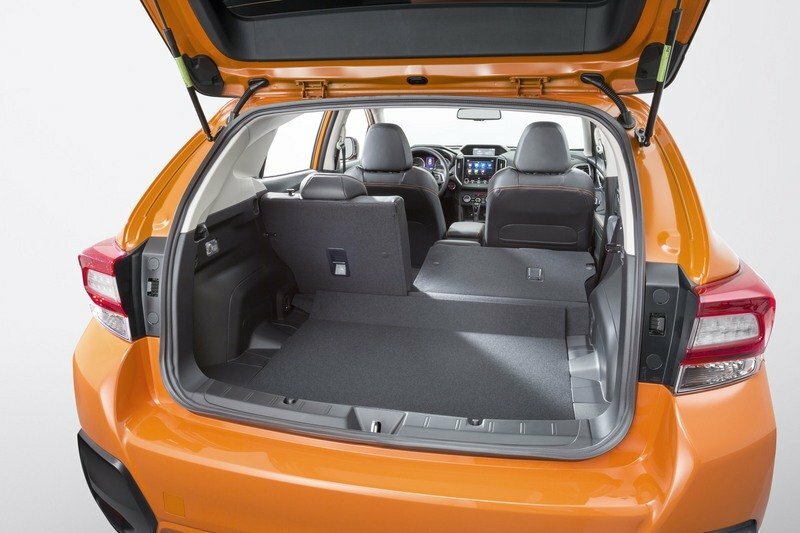 So, we’ve seen what the new XV looks like, but Subaru has yet to release full specs for the interior, exterior, or drivetrain. Needless to say, there’s still more to come prior to its official introduction to the market later this year. Regardless of the specs, it should be a huge improvement over the current model, and that’s good news all the way around. There could be a minor pricing increase, but chances are you’ll still be able to get into an XV for the same price or less than most of the competition – that’s the biggest selling point of the XV thus far, so I wouldn’t expect that to change. You’ll have to check back with us in the future for full specs, but in the meantime, let us know what you think about it in the comments section below. Updated 04/03/2017: Subaru announced that the 2018 Crosstrek will be making its North American debut at the 2018 New York Auto Show. 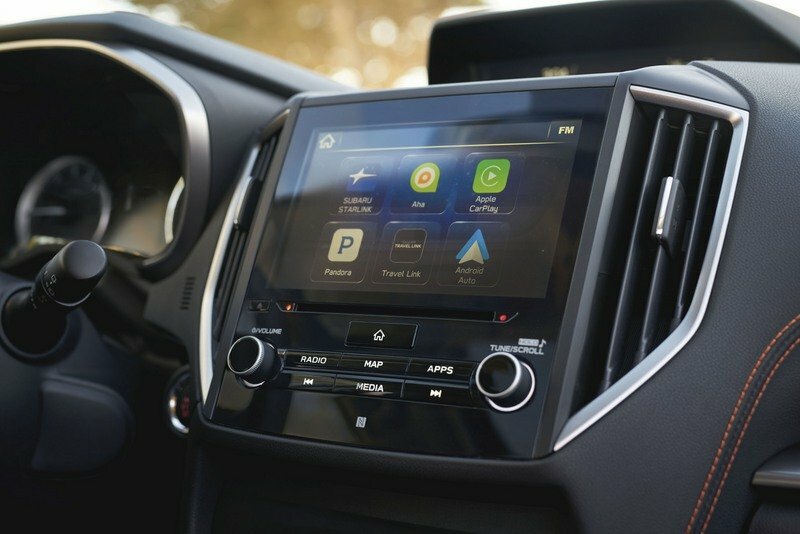 The more spacious 2018 Crosstrek is the second vehicle built with the brand’s new design language of “Dynamic x Solid.” Multimedia features include standard Apple CarPlay and Android Auto connectivity and Near Field Communication to simplify Bluetooth pairing. Active Torque Vectoring Active, first introduced on the WRX and WRX STI, is now standard on all trim levels. The system helps reduce understeer and keeps the vehicle on the driver’s intended cornering path. 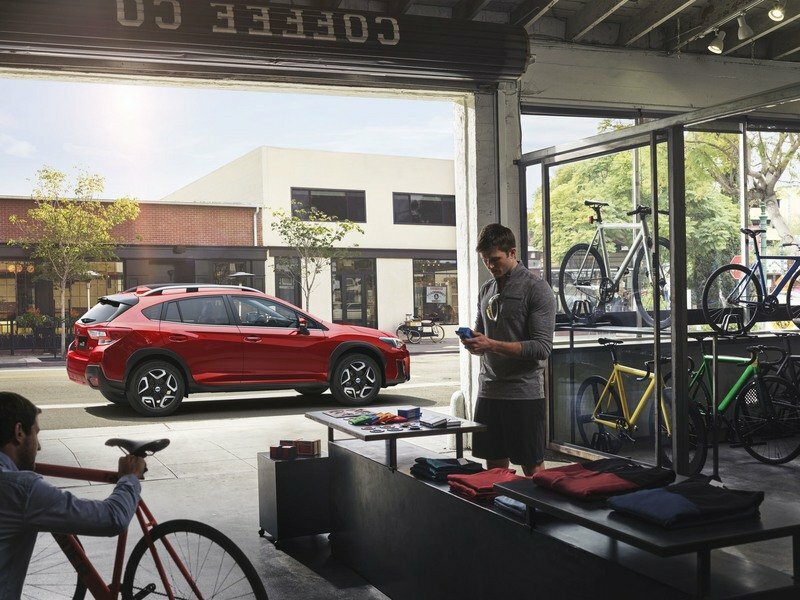 The new Crosstrek will be available in base, Premium, and Limited trim levels when it arrives at Subaru retailers this summer.